Q: What is the meat slapping, gut busting, massive attack set to take place at John Howell Park in Virginia-Highland on Saturday, October 2nd (from 12-4p)? To elaborate: some might say we’re in a burger renaissance. I might say we’re in a burger infestation. Regardless of your perspective, it isn’t a stretch to say that Atlanta’s cityscape has become a bastion of meat-eating fornication. 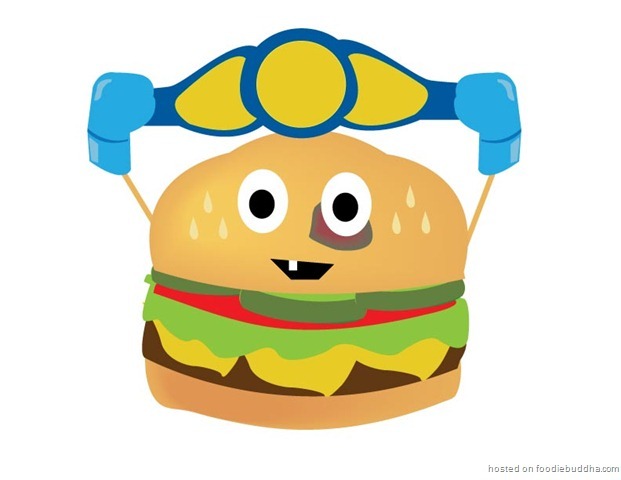 Spurned on by the dizzying selections our city has to offer, Embraced Atlanta is putting on a charitable contest of epic proportions … appropriately slugged as The Battle of the Burgers (web). Read on for all the information! In an attempt to help people discern Atlanta’s best hamburger, roughly 18 restaurants are throwing down on Kamado Grills to see who can best burst your taste buds. Some of the competitors will be no surprise (Farm Burger), while others might make you do a double take (West Egg). 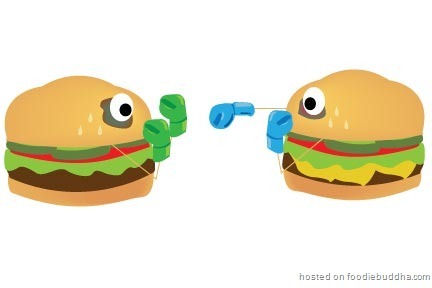 Whether they are full blown burger joints or just the one offs, the competition will be fierce and the playing field even. To help keep your creative juices flowing, SweetWater will be onsite with their beloved beer while Slim Chickens and Stephanie Scarlet will each take to the stage. At the end of all that, you (yes you – the festival goer), will have the opportunity to vote on your favorite sampling. At the same time, a handful of foodies and chefs will be roaming the park grounds looking to award one restaurant the title of Judges Choice. No word on whether that awesome WWE styled belt is in the mix. I hope so – cuz then I can steal it!!! 🙂 Run away … Run away!!! In case you’re wondering, yes – i’ll be there as one of the judges. Meanwhile, I’ll be joined by people far more qualified than myself: Chef Ryan Hidinger of Staplehouse and ITCK; Hugh Acheson of the new Empire State South; and Jonathan Baker of CitySearch (is there anything that guy doesn’t know?). Last but not least, the most important reason to attend the event is Embraced. The non-profit is the brainchild and baby of one Lauren O’Brien. Ms. O’Brien has made it her goal to help those who need orthopaedic equipment by redistributing gently used items. It’s a fabulous cause and I’m really honored to have been asked … HATS OFF!!! You can find out all you need to know about them at EmbracedAtlanta.org. The all-inclusive tickets can be purchased online and cost just $20, so get on it now. Remember, every last penny goes to a charity!